This is a non-profit organisation devoted to the furtherance of Vedic Mathematics worldwide. 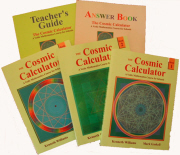 Offers teaching and Vedic Math training at all levels/ages, including online courses and classes. Online portal and Virtual Campus offering online courses/Teachers Training programmes on many topics related to Ancient Scientific Knowledge & Wisdom including Vedic Mathematics. "Math Monkey is a supplemental math program, designed for all children between the ages of 4-14! It meets their needs using our unique approach based on Vedic Math, and surrounds them in a group environment to help them soar! With our game-based curriculum everyone has fun while learning new skills! " Vedic Vidyalay is a not for profit volunteer organization. We run classes in Vedicmath (A unique way of doing math from Vedic times), Indian languages like Hindi, Tamil, Sanskrit, Telugu, Kannada, Malayalam, Gujarati, Marathi and Punjabi currently. We are ready to start classes in Bengali, Oriya and Assamese soon. Apart from Languages & VedicMath we run classes in Indian Art, Bharatnatyam, Meditation, Yoga Karnatic music also. We keep adding classes based on demand and volunteer availability so please check back or write to us on info email account at VedicVidyalay.org. We run classes on Friday evening and Saturday morning. We also offer online classes for parents who are remote and can not attend in person.